I don’t know about you, but sometimes I like a good sweat over lunch. This place in Segambut has the ideal noodles for a proper drenching. SK wine noodles in Segambut’s portion of noodles is not only generous, but for RM6.50, it’s stuffed full of ingredients. To say that the Chinese are a bit obsessed with their wine noodles, is an understatement. These sort of nutritious and fortifying soups are supposed to put curves on a woman, and hair on a man. OK, I’m only kidding, but nursing mothers are really meant to dig their Chinese rice wine dishes (though not me, as I found out recently haha). 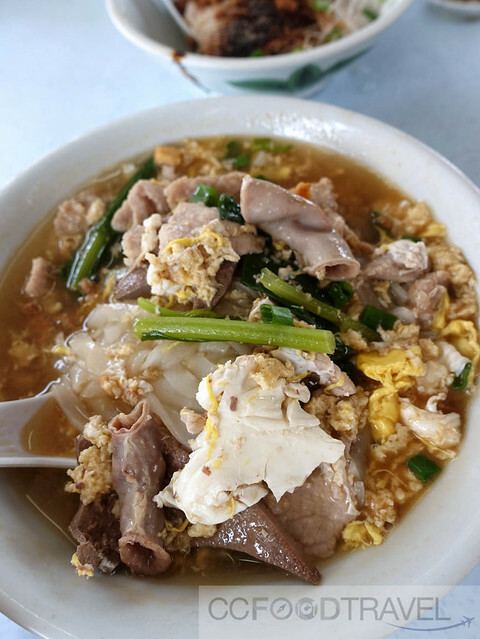 This one isn’t exactly confinement food, but it is packed with offal, eggs, generous amounts of ginger, chinese rice wine, and also they cook their liver just right (i.e.not over done) … it’s super delicious. Pork ball noodles are good here too. Portions are above average in size. We went back for the bittergourd pork noodles. There was a lovely sourness in the broth imparted by the tomatoes. 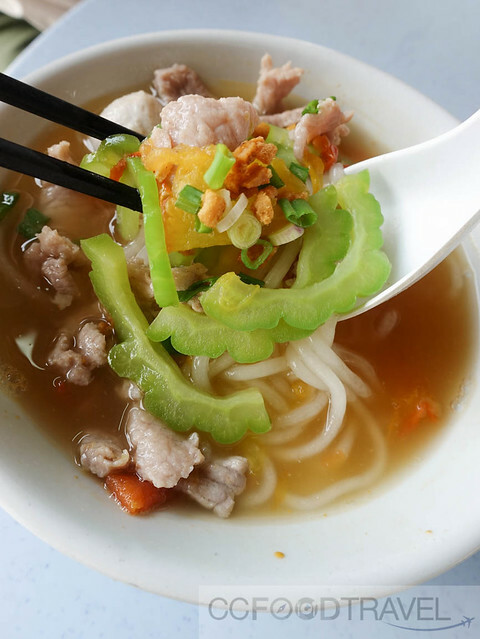 The Lai Fun (tapioca noodles) is terrific. This place comes highly recommended for all their dishes. Next door is a crispy fried wantan mee shop which is also fabulous. The highlights are the wantan that’s RM3 for 5.. just eating them from a bag, like a snack is great too. What’s your favourite afternoon sweat for lunch? Care to share? Next articleYung Kee Beef Noodles, Pudu moves to a new hood! Wow…my kind of food! Would love to try it one day. Do you have a more detailed address? Updated address – it’s at Taman Batu – the area between Segambut and Selayang. There’s a playground at the top of Jalan 30/42L. Turn down that street and you will see a restaurant midway, along some shacks. That’s SK. Just last week, were were at Le Méridien Kuala Lumpur celebrating International Coffee Day by learning how to make the perfect cup of coffee….